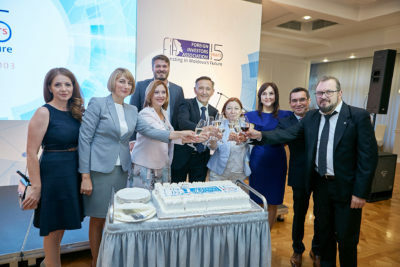 On September 20, Foreign Investors Association has celebrated its 15th Anniversary. The slogan of the event was – 15 Years Investing in Moldova’s Future. 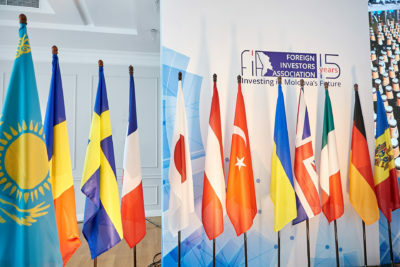 Today, FIA is formed of 18 members from 11 countries – the major foreign companies from the Republic of Moldova, with 16500 employees. The total investments of FIA members are about 1 billion 150 million EUR. These companies cover almost all the economic sectors: industry, agriculture, infrastructure, telecommunications, healthcare, distribution, consultancy, etc. 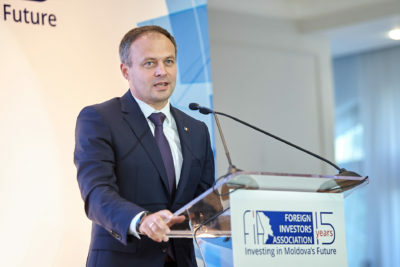 FIA member companies believe that only by sharing the experience and commonly coordinating the efforts of foreign investors and authorities, a clear understanding of the specific issues and decisions affecting business environment and investment climate in Moldova can be formed. 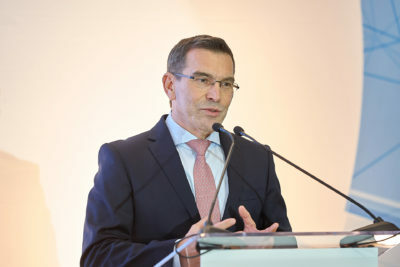 Summing up a year of cooperation with public authorities, after the White Book, 2017 was launched, FIA Executive Director, Ana Groza, noted the unprecedented level of these proposals implementation: 70% of FIA proposals were accepted, 18% – that is 13 proposals are already implemented and applied in practice. Another 38 proposals (52%) are in the phase of draft laws, Government decisions, etc. 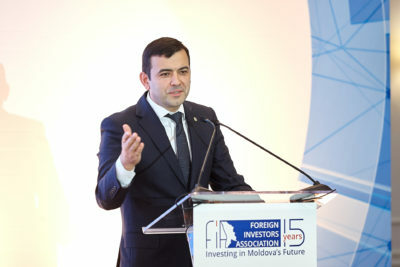 Heads of FIA member companies mentioned that today Moldova cannot get away from the global changes related to the large-scale challenges, such as global warming and the 4th industrial revolution. Four presentations at the event outlined how foreign investors in Moldova are already responding to these global challenges. The event was attended by the representatives of public authorities, diplomatic corps, FIA member companies, business associations and others.